To get your copy of Invested pre-ordered today, check out Amazon at http://amzn.to/2qejkA3. It really is an essential handbook on how to get your feet wet and follow along with one new practice a month to get you investing within one year told entirely from Danielle’s perspective as a skeptical young woman! Warren Buffett spends 80% of his day reading and attributes much of his success to it. Having a great reading habit can help you make more money. 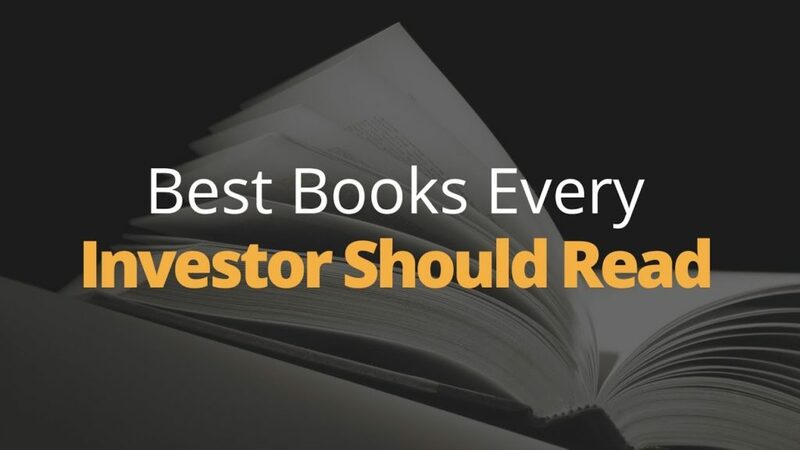 Watch this video to find out the top 6 non-investing books I recommend reading! Thank you for sharing your successful strategies with us. The book by Stephen R. Covey, "The 7 Habits of Highly Effective People"
In nowadays, it is important to be a decent, correct person with good ethics. I was a little disappointed that your list didn't include The Bible, especially since at least 2 of those books were about philosophy and higher powers. The Bible is all about the one and only higher power, and believe it or not, there's some investment advice in there too. Another good book, Warren Buffet and the Interpretation of Financial Statements by Mary Buffet. Rich Dad Poor Dad is a good one. Hi Phil, those are some great recommendations. One of my favorite books of all times is The Richest Man In Babylon. It's a timeless classic. Hey congrats to your daughter on writing and selling her book! Great suggestions – added the ones I haven't read to my reading list. I loved both Atlas Shrugged and Thing & Grow Rich. I recently read two phenom books that I highly recommend and relate to investing. Natural Born Heroes by Christopher McDougall and Nicholas Guy Smith about a group of miliary misfits who conquered the Nazis on the island of Crete in World War II. Great because it explains how to use our all our resources and add some new unique ones to accomplish feats way beyond our wildest expectations. Also The Upstarts by Brad Stone and Dean Temple that explains how Uber and AirBnB became profitable business juggernauts in less than 10 years while helping many other people make good money in the sharing economy. Phil, I'm deep into your book "Rule #1". Love it… Great Stuff! I would recommend people also read Jason Greenblatt's books, like "The Little Book that beats the market". First 2 books are outstanding! Let those others fall right in the trash can. Rich Dad, Poor Dad virtually brought me here. 4:58 warrior name is Arjuna (a Panduva), Lord Krishna talking to him to fight his own cousins (Karuvayas). Be steadfast in yoga, O Arjuna (name of the warrior). Perform your duty and abandon all attachment to success or failure. Such evenness of mind is called yoga. don't worry about the result, do the correct deed and take action. Just finished Danielle’s book, very worthwhile read. She addresses fears common to us all.